Mary ： WangLan, who is he? WangLan ： Mary, let me have an introduction. This is my elder brother. WangLin ： I’m WangLin. It’s very nice to meet you. Mary ： Nice to meet you too. WangLan ： Where are you going? Mary ： I am going to Peking University. Where are you (Plural) going? WangLin ： We go shopping. WangLan & WangLin ： Bye! There are a few terms that we have learnt before. This is a common expression for introducing people. will be done in a casual way. Here it indicates the latter meaning. Kako ： Is teacher Zhang in (at home)? XiaoYing ： Sure. You are…? Kako ： I am teacher Zhang’s student. My surname is Yamashita, first name is Kako. And you? XiaoYing ： My name is XiaoYing. Teacher Zhang is my father. Come in please. “您是…” means “You are…”. It means “Who are you?”. The listener should respond with his name or social status. Such a sentence is used only when a stranger has started to speak to you. For the 2nd mistake, I have corrected it. Thanks for addressing it. 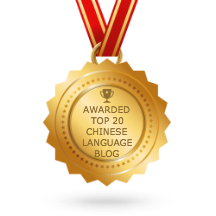 Hope you like my site and come back always to learn Chinese. oh it is useful for me.